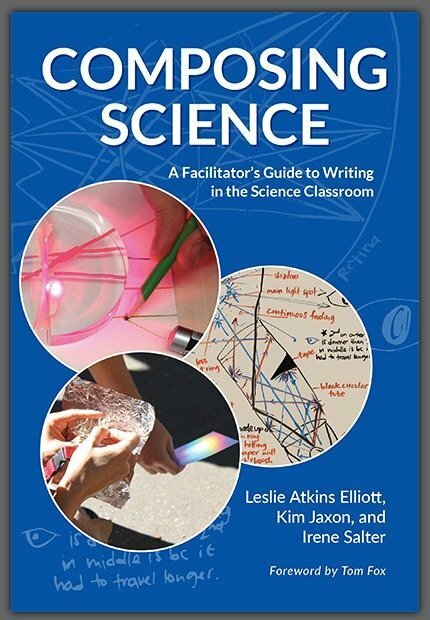 Summary: We discuss teaching writing, teaching science, and how to create classrooms in which students use writing to learn and think scientifically with Kim Jaxon and Leslie Atkins Elliott, authors of the new book Composing Science. Kim and Leslie talk about concrete approaches for engaging students in practices that mirror the work that writing plays in the development and dissemination of scientific ideas, rather than replicating the polished academic writing of research scientists. They also address a range of genres that can help students deepen their scientific reasoning and inquiry. Available from The National Writing Project, TCPress and Amazon. Copyright © 2019 Composing Science. All Rights Reserved. The Arcade Basic Theme by bavotasan.com.